Source: Info in the About Dawn Of Wonder: The Wakening was taken from GoodReads at https://www.goodreads.com/book/show/25451852-dawn-of-wonder on 06/02/2017. 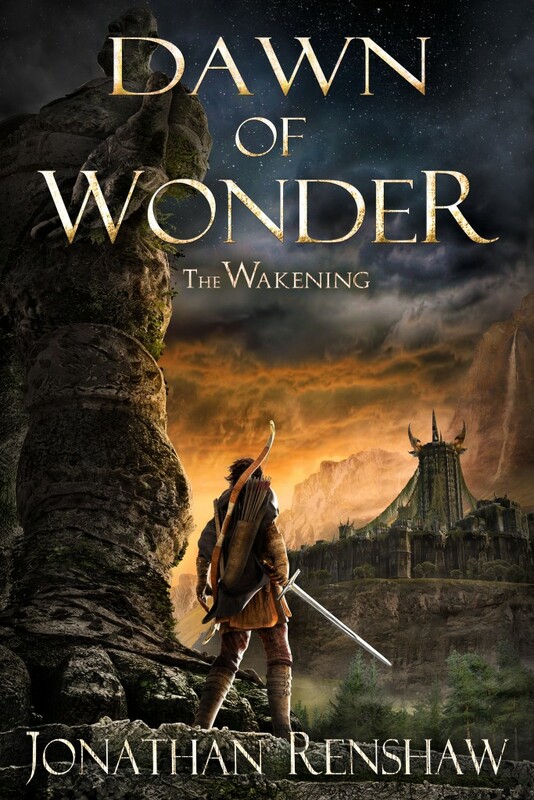 This is a fantastic epic fantasy! And maybe the most that I have come across in a long time. I couldn't wait to read book2! Unfortunately, it doesn't seem to be coming soon. Maybe in a few years time. I hope it is still coming though... Anyway, Jonathan Renshaw gained a new fan in me with this book! 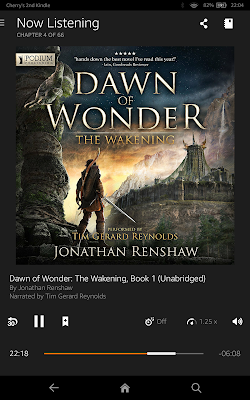 This is the first time I have ever listened to Tim Gerard Reynolds and I'm not a fan of his reading style. Maybe it'll grow on me with book 2... maybe. Anyway, I consequently and mostly "read" this book as oppose to "listen" to it. I feel that reading it is more satisfying than listening to it. And on to my nitpicking issues: I am just glad that the author did not call the being in the lightning a "god" but the "Ancient" instead, because it was just a little bit overdramatic already as it was. But other than that, I really love the story! But here is the bummer, it ends in a cliffhanger :( And this is primarily the reason why this book gained a 4.5 rating instead of a 5. Otherwise, I would have given this book a 6. Jonathan Renshaw is a former high school English teacher and music producer who now writes full time. He is currently working on the epic fantasy series, The Wakening, launched in May 2015. Connect with him at www.jrenshaw.com.